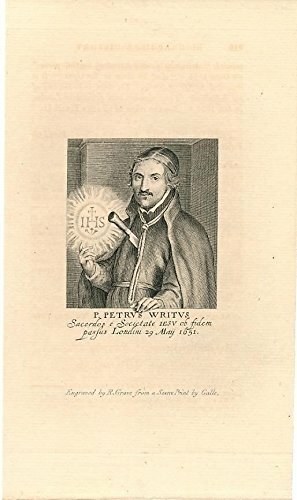 May 19 – Bl Peter Wright, (1603-1651), SJ, Convert/Revert, Priest & Martyr | ADULT CATECHESIS & CHRISTIAN RELIGIOUS LITERACY IN THE ROMAN CATHOLIC TRADITION: hosting ONLY True Christians!! !, or "How to think Catholic!!" Peter Wright was born in Slipton, Northamptonshire, one of twelve children, in a Protestant family. While young, he converted to Catholicism. Peter was still young when his father died. He had to work in a country solicitor’s office at Thrapston in his home area. After spending ten years with the solicitor he enlisted in the English army in the Low Countries, but finding that he did not care for military life, he deserted after a month and went to Brabant. Having drifted away from his faith in his youth, he visited the English Jesuits in Liège and asked to be reconciled to the Church. He then visited Ghent and for two years attended the college of the Jesuits. In 1629 he entered the Jesuit novitiate at Watten. After studying philosophy and then theology at Liège, he was ordained a priest there in 1636 and after a further period at Liège was sent to serve at the English College of St. Omer. From 1638-1644 he served as chaplain to Colonel Sir Henry Gage’s English regiment in the service of Spain, based near Ghent. When Gage returned to England in the spring of 1644 to aid King Charles I, Wright went with him, first to Oxford and then to the relief of Basing House, the seat of John Paulet, 5th Marquess of Winchester. He administered the sacraments to the dying Gage on January 11, 1645. After this Wright became the marquess’s chaplain, first in Hampshire and later in the London house. Wright was seized there by a band of pursuivants who burst in on Candlemas day, 2 February 1651. Committed to Newgate, he was brought to trial before Henry Rolle, Lord Chief Justice, sitting with justices Philip Jermyn and Richard Aske and others, at the Old Bailey 14–16 May. Something of the atmosphere of the times should be clear when it is recalled that Charles I had been put on trial and subsequently been executed on January 30, 1649. The evidence at Wright’s trial was provided by the informer Thomas Gage, apostate brother of the late Sir Henry and a renegade Dominican priest. Thomas Gage had met Wright in the years when he was a military chaplain and testified against him. The whole scene, about which numerous details have survived, was little like a modern court of law and bizarre moments included the Parliamentarian Lord Chief Justice rebuking the half-deranged informer for speaking disrespectfully of his Royalist soldier brother. 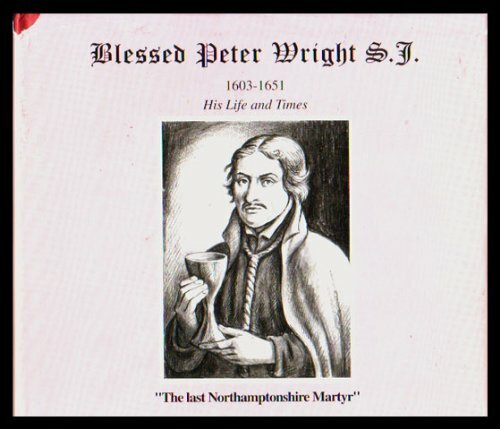 Wright was condemned under the statute 27 Eliz., c. 2. for being a Catholic priest in England, and sentenced on Saturday May 17 to being hanged, drawn and quartered. His execution at Tyburn, London on a hot Whit Monday, 19 May 1651, took place before over twenty thousand spectators. In the period of the trial and the days after his execution, Wright was if not popular, at least a respected figure in public opinion. The sheriff’s officers also seem to have been relatively well disposed to him and he was allowed to hang until he was dead, being thus spared the agonies of being eviscerated alive. When Fr Wright was called out to the hurdle, he went with so much alacrity and speed that the officers could scarce keep pace with him; then being placed on the hurdle he made a short act of contrition; and in the midst of mutual embraces was absolved by Fr Cheney, and then drawn away to Tyburn through the streets crowded with an innumerable multitude of people. He was drawn on the hurdle more like one sitting than lying down; his head was covered, his countenance smiling, a certain air of majesty, and a courage and cheerfulness in his comportment, which was both surprising and edifying, not only to the Catholics who crowded to ask his benediction, but to the Protestants themselves, as many publicly declared. “If I had a thousand lives I would most willingly give them all up in defence of the Catholic religion.” The hangman having fitted the rope to his neck, the confessor made a short speech to the spectators: Gentlemen, this is a short passage to eternity; my time is now short, and I have not much to speak. I was brought hither charged with no other crime but being a priest. I willingly confess I am a priest; I confess I am a Catholic; I confess I am a religious man of the Society of Jesus, or as you call it, a Jesuit. This is the cause for which I die; for this alone was I condemned, and for propagating the Catholic faith, which is spread through the whole world, taught through all ages from Christ’s time, and will be taught for all ages to come. For this cause I most willingly sacrifice my life, and would die a thousand times for the same if it were necessary; and I look upon it my greatest happiness, that my most good God has chosen me most unworthy to this blessed lot, the lot of the saints. This is a grace which so unworthy a sinner could scarce have wished, much less hoped for. And now I beg of the goodness of my God with all the fervour I am able, and most humbly entreat Him that He would drive from you that are Protestants the darkness of error, and enlighten your minds with the rays of truth. And as for you Catholics, my fellow soldiers and comrades, as many of you as are here I earnestly beseech you to join in prayer for me and with me till my last moment; and when I shall come to Heaven I will do as much for you. God bless you all; I forgive all men. From my heart I bid you all farewell till we meet in a happy eternity. Previous Post2 different OTs?Next PostReform Yourself!! !